Dr. Lockman is the Medical Director of the St.Vital Family Medical Clinic. He has been in active clinical family practice for the past 29 years. He graduated from the Natal University of South Africa (presently known as the Nelson Mandela School of Medicine) in 1986, with a Bachelor of Medicine and Surgery degree (MB.CHB). Whilst in Family Practice in South Africa, he also obtained a Postgraduate degree/ Masters degree in Family Medicine – M.FAM.MED (SA) – from the University of the Free State (SA) in 1994. He emigrated to Canada in 1996 and started active family practice first in Newfoundland, then British Columbia and now Manitoba since 1997. 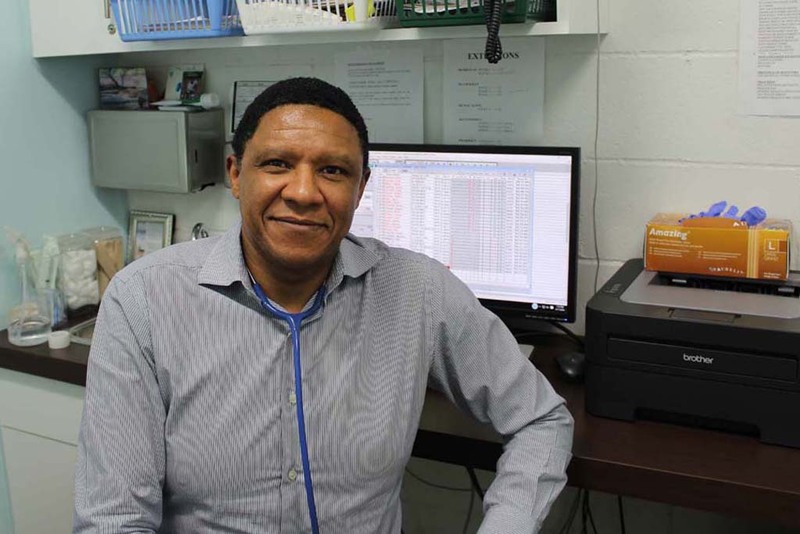 He completed his Canadian Qualification Exams in 1999 and obtained his Certificate of the College of Family Physicians of Canada (CCFP) in the same year. In 2010,he became a Fellow of the College of Family Physicians of Canada (FCFP). Dr. Lockman is both an active member of the Canadian College of Family Physicians of Canada and is an Examiner for the College. Dr. Lockman has a Special Interest in Insurance and Medicolegal Medicine and in this respect completed a three year diploma at the University of Montreal in 2011. Dr. Raza qualified with an MBBS in 1991. He completed one year Residency training at the U of M and passed the LMCC, United States Licensing Medical Exam (USMLE) and CCFP. He joined the St. Vital Family Medical Clinic in Nov 2016. Dr. Rivi has been associated with the St. Vital Family Medical Clinic since December 2016. He graduated from Peradeniya Medical Faculty, Sri Lanka in 1990. He and his family immigrated to Canada in April of 2005. Upon successfully passing the Canadian medical examinations, he completed a residency program in the Family Medicine for the International Medical Graduates in 2009 at the Faculty of Medicine at the University of Manitoba. He completed Board Exams and obtained his Certificate of the College of Family Physicians of Canada (CCFP) in October 2012.